Computer CPU Case stands designed to support and elevate most desktop / tower style computers for easier access. Increases airflow and saves desktop space by storing the CPU under or beside your desk. 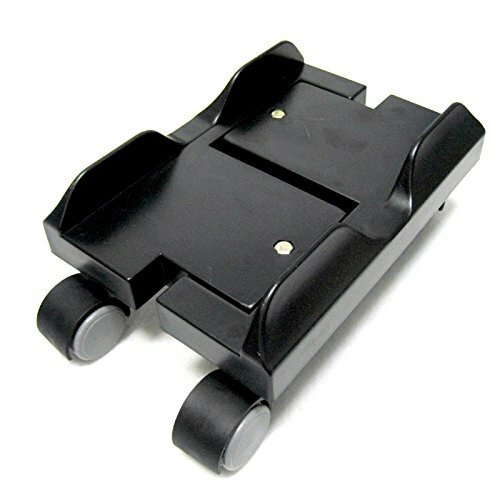 Swiveling casters provide mobility and stability. Rolls for easier access to back of the computer Computer caddy adjusts from 6 - 10.25 Inches of width to hold most CPUs. No tools needed. Durable construction with 60 lbs capacity. This PC stand will outlast your computers for years to come. Adjustable width from 6.9" to 10.2"
If you have any questions about this product by JBS & Co, contact us by completing and submitting the form below. If you are looking for a specif part number, please include it with your message. Pack of 2 Mainstays TV Cart for TVs up to 23-1/2" with Set of 2 White Basket Weave Included!